San Antonio Magician and Mentalist Gianni Set to Predict Headlines of San Antonio Express News July 24th, 2010. Sealed envelope to be opened at the JW Marriott Resort in San Antonio Texas. (I-Newswire) July 21, 2010 - On 24 July at the JW Marriott Hill Country Resort located in San Antonio, Texas, a sealed envelope will be opened. Contained in the envelope are a number of predictions San Antonio Magician Giani has made. One of the predictions will contain what the San Antonio Express News July 24th edition headlines will read. The predictions were sealed, time stamped and mailed on 16 July. "What makes this prediction different then any I have done before is I never touch the envelope after it has been mailed," says Giani. Can anyone really predict what the news headlines will be one week in advance? 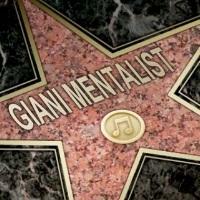 Giani says "I never claimed to be a psychic, I am only a magician, hypnotist and mentalist. I use secret techniques and skills to make this stuff work. What I do is for entertainment only. One thing is for sure though, the San Antonio Express Newspaper is authentic and real;)"